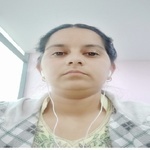 I am WordPress , SEO Specialist who can rank your WordPress website on all the major search engines like Google, Bing, etc. I am well-versed in all the plugins like SEO Yoast, which are available in WordPress. I strive to give full dedication and attention to my projects and always get the job done, no matter what it takes. You will find me a dedicated and reliable technology partner and be satisfying my customers is my number 1 priority. I am looking forward to hearing from you, and learning more about your technology needs. I enjoy a challenge, and the creativity in code and design, so contact me to discuss your next project. thanks.